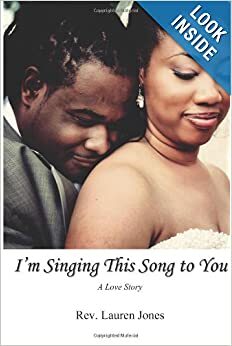 If gushing about weddings bothers you, now is the time to take a break from my blog because I’m getting married on October 12th in the Dominican Republic, and I’m super excited about the planning process. We just selected the resort, started our premarital counseling, I bought my dress, and the ball is rolling so I’m going to be talking about it a lot! 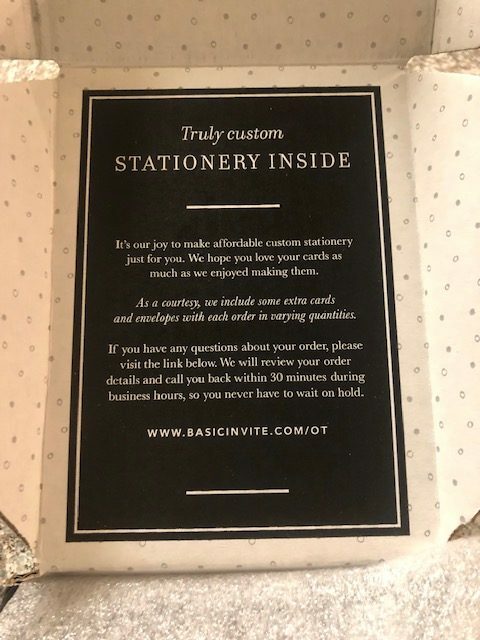 Thankfully in the midst of all of the planning, I learned about this jewel of a company, Basic Invite! 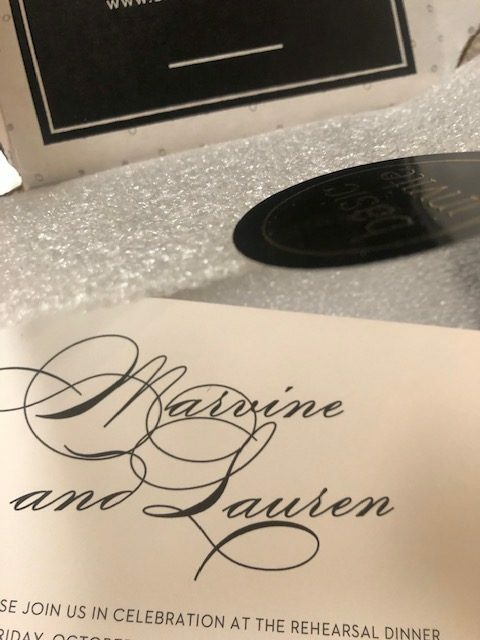 Basic Invite creates personalized invites, “Save the Dates“, menu cards and any creative wedding, birthday or special event product you can imagine. 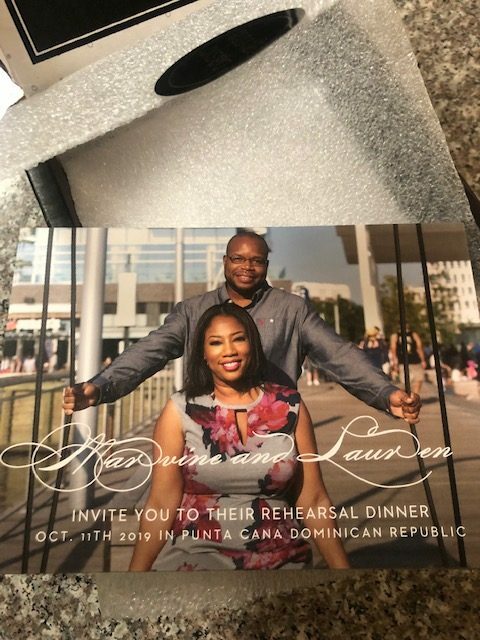 They gifted me with some rehearsal dinner personalized invites, and I am in love! The website is easy to use and the design process was a breeze. 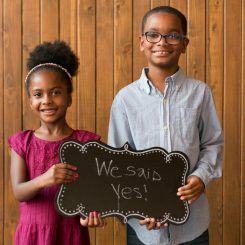 I created my account on their website, uploaded my engagement photos and designed my invites. I submitted my work, but one of their representatives contacted me immediately to let me know that I needed to use a higher resolution photo. I swapped photos and placed my order. 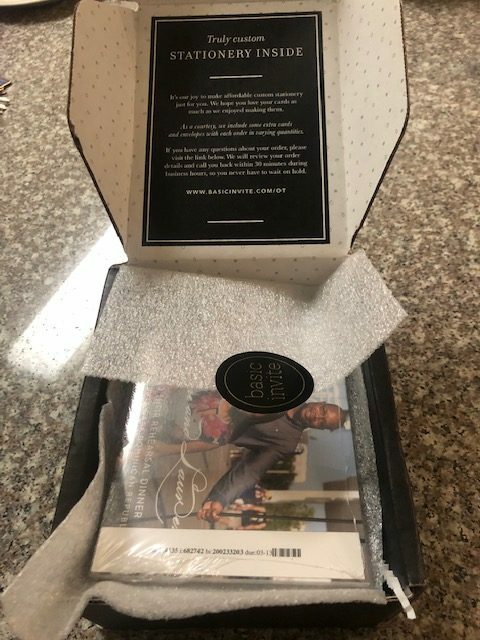 I received my invite cards a few days later, and I am impressed! I can’t stop gushing about my rehearsal dinner invites. They are going to make a great addition to my guest welcome bags. Basic Invite has a host of designs and products to choose from, and you have the option to personalize all of it! They even have these beautiful gold foil save the dates! They even have cool photo coasters for your wedding. Basic Invite definitely gained a new customer and fan in Throw Up and Theology. 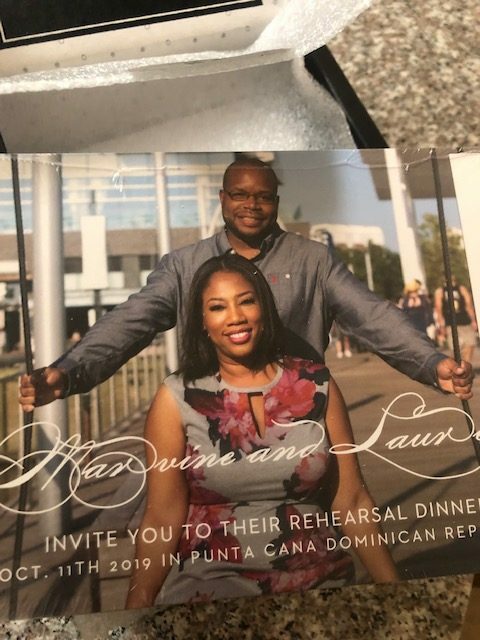 The back of my rehearsal dinner invites. Congratulations! I’m so excited for your family!